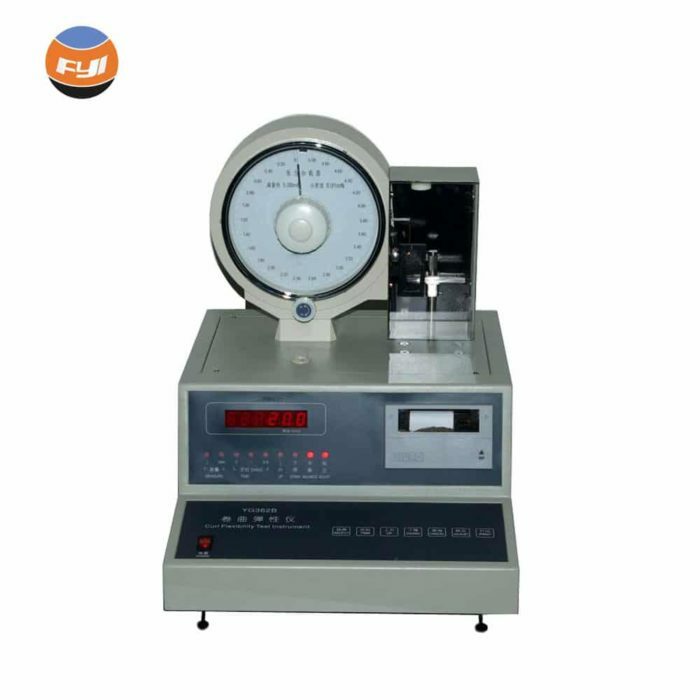 Fiber Crimp Elasticity Tester is specially used to determine crimping performance of single natural fiber and chemical fiber automatically when fineness ranges from 1 to 22 DTEX. 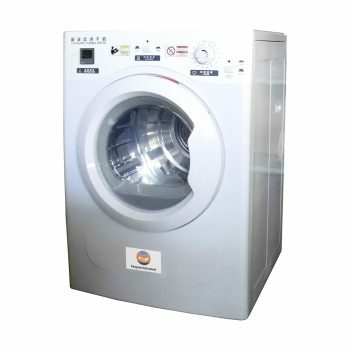 It is widely used in production enterprises, testing organizations and scientific research units for chemical fiber, textile, etc. 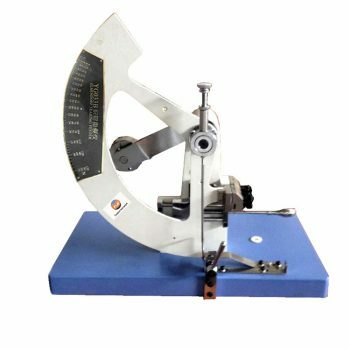 Fiber Crimp Elasticity Tester adopts tension loader to apply different loads to fiber. After reaching specified load, displacement length value is recorded by monolithic microcomputer to automatically calculate crimp ratio “J(%)”, crimp recovery ratio “JW(%)” and crimp elasticity ratio “JD(%)”. Users can observe test values by LED digital displayer and print out their statistical values by built-in mini printer. 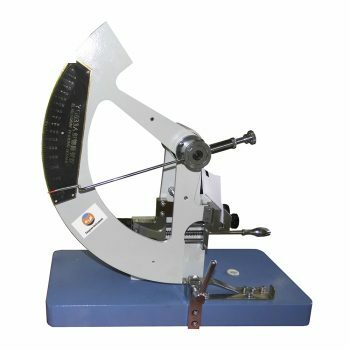 Fiber Crimp Elasticity Tester is an instrument for measuring the curl and elasticity of wool and chemical fibers. It is mainly composed of torque balance (range 0~5mN, minimum dividing value 0.01mN) and length measuring device. By applying tension to the measured fiber, the fiber is straightened. The length measuring device is composed of fixed grating and moving grating. The fiber under gripper is installed on the moving grating and moves up and down along the guide rail. When moving the moving grating, the Mohr fringe moves to the left or right. The light signal of Mohr stripe movement is accepted by the light sensor, which is converted into electric signal and sent to the amplifier and counting circuit. The size change of 0.01mm can be measured. Another improved method of measuring the length, such as YG362B crimped tester which is used to measure the length by counting the input pulse number of step motor. The parameters such as “tensile crimp modulus” and “crimp elastic recovery rate” can be calculated. 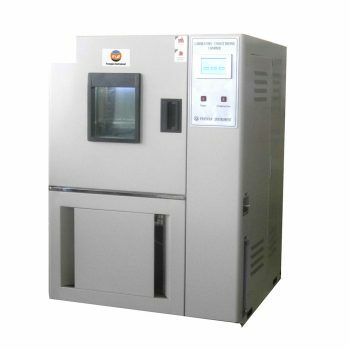 Comprehensive and constantly-updated products, covering solutions to wide range demands of different materials, properties and test methods. FYI have established ourselves as one of the leading manufacturers and exporters of quality testing instruments. we have gained a reputation for excellence among our customers and peers. Efficient distribution systems and timely delivery schedules have endeared us to our customers spread around the world. Copyright 2018 Hefei Fanyuan Instrument Co.,ltd - All Rights Reserved .